Switzerland’s Emosson dam has featured sparingly in pro races, more because of its location that its severity but all the more reason to explore this corner of the Alps. 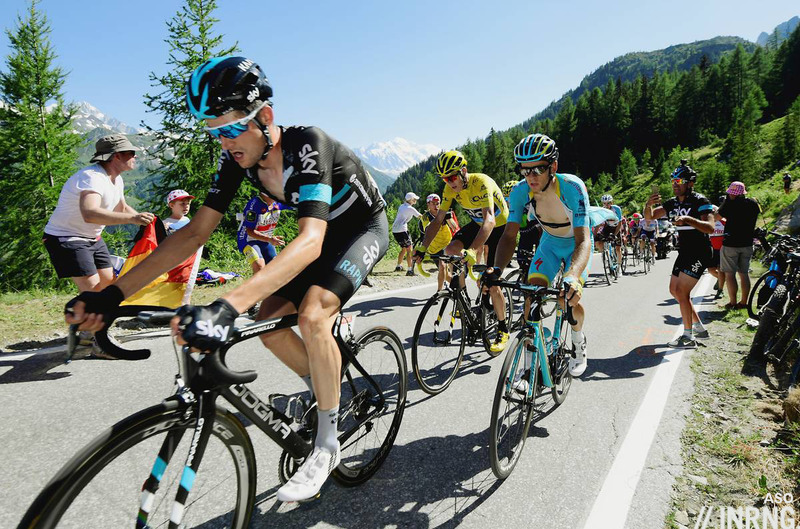 The Roads to Ride series here has referenced climbs all over the world but Switzerland has been skipped despite the country’s vast repertoire of stunning climbs, fine scenery and billiard-table tarmac so it’s about time to include one and hopefully more of the classics in the future. The Feel: Martigny has that Swiss feel of a clean town with a lot of 1970s concrete surrounded by Alpine peaks. It’s been a crossroads since Roman days. The Col de la Forclaz starts climbing amid vineyards which sounds pleasant but the vines are there for a reason: this is a south-facing slope and despite the Alpine vibe delicate vines can thrive here. It’s probably pleasant on a late March day, it was infernal in July with the stone parapet radiating the heat. Like many Swiss climbs you get into a nice tempo and are rewarded by the smooth road and steady gradient and if the slope changes from 7% to 8% and even 9% in places it is all gradual, the kind of ascent you can sit back and spin up rather than constantly fidgeting with the gears and having to sit and stand. There’s barely a hairpin bend either. A reason for this as the road was rebuilt in the 1950s and traces of the old, irregular route can be seen from time to time below the current engineered road. The top of the Forclaz is marked by the usual car park-café combo and after the tight bend below there’s a fast descent into the Trient valley. Take a right after 7km, signposted Finhaut. The climb is in two parts. The first and the shorter sections climbs around the village of Finhaut on a regular road that’s gentle, inviting and cooled by several waterfalls and you’ll find a fountain for your waterbottles on the right as you leave town. The second part happens once you quit the village and the road narrows. From here it’s 7km at 11% and savage. The road surface is fine but it’s relentless as it scales the mountainside. The only easier points are some wide hairpins where you can take an easier line around the outside – or set a fast time by attacking the apex if you’re feeling up for it. This section is quiet and devoid of traffic for the most part and lined with pine trees and protruding rocks. Be sure to look to appreciate the peaks around which are white all year given their altitude. When you reach the top it’s a surprise to see a café and a lot of people milling around. Where did they come from? By mountain railway it seems and you can take in the views of the vast lake and the huge concave hydroelectric dam which is topped with a road. The Verdict: a great climb, it is hard work but the road surface is good and it is peaceful, locals must ride up like this is their private ascent. 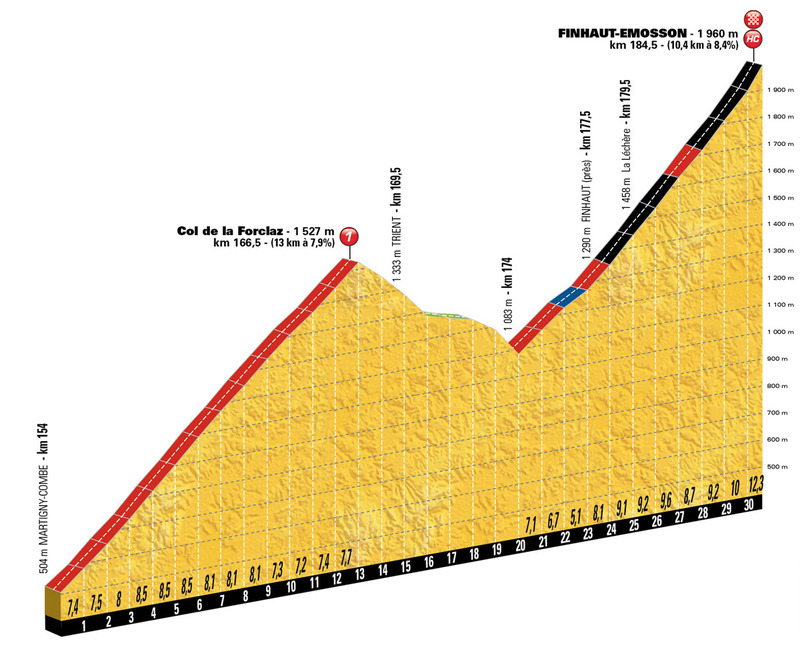 In isolation it is a good ride but suffers from competition because this part of the Alps is packed with climbs. Choosing which one to ride should really be a question of feeling rather than exclusion, you do this on one day and others nearby on another day and so on. In this case it was climbed as part of the 2016 Tour de France route recon. Name: if intermediate climb of the Col de la Forclaz sounds familiar that’s because there are many passes with the forclaz label. With a silent “z” it’s roughly pronounced “fork-la” it’s derived from the Latin for small fork and denotes a narrow gap through the mountains and is a term used in France and Switzerland alike while in nearby Italy there are several climbs with the forcella label meaning the same thing. The real name for the climb from Finhaut to Emosson is the Col de la Gueulaz. History: this was first raced up in the Tour de Suisse in 1970 where Felice Gimondi won the stage and it wasn’t until 2006 that a major race returned, this time the Tour de l’Avenir, once again pioneering a route for ASO and the Tour de France and Stef Clement won that day, he’s a valuable mountain helper at Lotto-Jumbo. 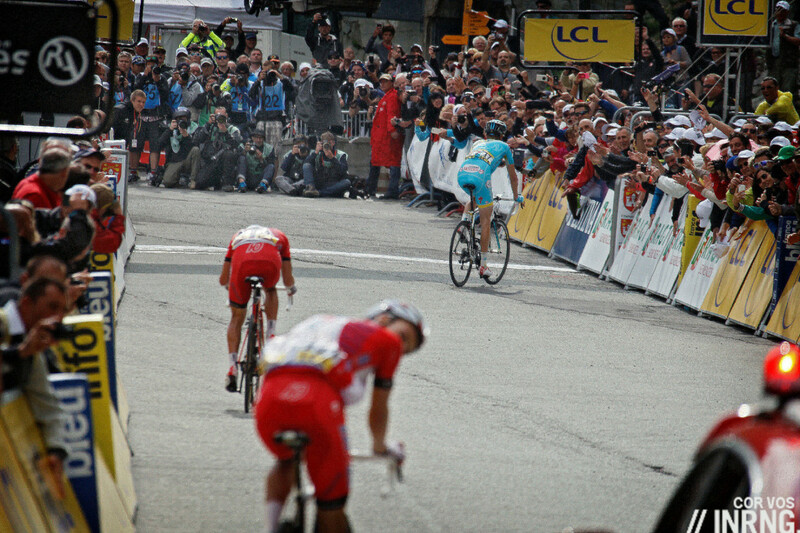 The 2014 Dauphiné provided plenty of action with Alberto Contador and Chris Froome duelling throughout the race including this climb while upfront Astana’s Lieuwe Westra honed in on two Katusha riders to pass them in the finishing straight for the stage win. 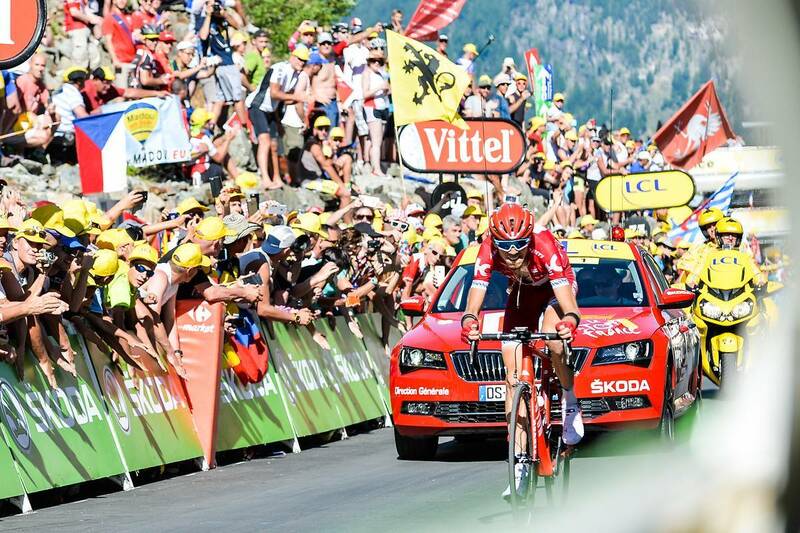 Katusha got their glory in the Tour de France when Ilnur Zakarin won after dispatching Rafał Majka and Jarlinson Pantano to go clear for a solo win. Travel and access: Martigny has everything from road and rail connections to bike shops and it would make a good base to explore the area with notable climbs like the Grand Saint Bernard pass, the Col des Mosses, the Pillon and more staples of the Tour de Romandie as well as plenty of ski stations. It’s right by the French border so visitors to Chamonix, Megève and Morzine can try too via the gentle but busy Col des Montets and you will know the border thanks to the sudden smooth road as well as the shops selling chocolates. Will’s Cycling-Challenge website has a map and details of many more climbs. Also, Martigny has a fabulous museum (www.gianadda.chat) that has 3 levels, one devoted to modern art, one to Roman relics found on site, and one to antique cars (my favorite). It also has a nice cafe and grounds with a great collection of modern sculpture. Next door is an organization devoted to Saint Bernards. Nearby Montreux on Lake Geneva is lovely. Train travel in Switzerland is a dream. Speaking of views: from the new dam you’ll have a fantastic panorama of the Aiguilles de Chamonix, all the way to the Mt-Blanc. Yes, I second that. It is great fun to ride across the dam around part of the lake, and then the super steep road to the higher, smaller dam. I was very excited to see it finally re-opened (I thought it had been closed even longer than since 2014, but not certain). Here’s a photo of this beautiful extension. You can see the main dam in the distance. Col de la Gueulaz is just above that dam. Also, right at Col de la Gueulaz, just before reaching the dam, on the right is a tunnel entrance. It is a long, dark tunnel that comes out another side of the lake. (it’s usually closed to cars). You can’t cycle much beyond, but it’s a beautiful, alternate view of the lake/dam. Also above the higher, second lake are well-preserved dinosaur tracks. Only reachable by hiking. But it is a selling point for the local tourism office and the reason (along with the TdF) there is now a giant dinosaur statue with a yellow cycling helmet at the Col.
PS – This is a very good choice as you start reviewing Swiss Climbs. Other favourites off the top of my head: Lago di Narèt, Col du Sanetsch, Grosse Scheidegg (both sides), Gotthardpass (south side), and any combination of the central Swiss giants: Grimselpass, Sustenpass, Furkapass, Nufenenpass. The most underrated are the many HC climbs to very high Alpine dams like Emosson. Always beautiful.